Tag Archives for " Spirit Magazine "
The cover story of this month’s Spirit magazine by Gabbi Chee chronicles the story of young man named Alex Sheen who quit his job to honor a promise. 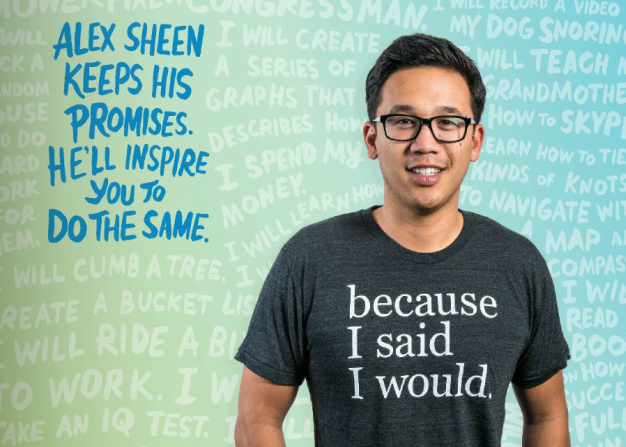 He later created an non profit organization called “because I said I would” that encourages individuals to make and keep promises to themselves and others. The story is a fascinating one and it made me think about the promises that business owners face everyday. How many promises do we make to our customers, implied or otherwise? How often do we keep or break those promises? I wonder what impact publicly stating and breaking a promise has on a brand and, of course, I wonder the opposite as well. Would you be willing to declare a small handful of promises to your customers and never, ever break them? Take a look at the simple power of “because I said I would” and see if you don’t start to think of ways you could apply this simple act to your business. I posed the question below on Facebook in an attempt to start this conversation – please add your thoughts in the thread below.